Come by the outdoor gallery at Arttitud and check out this incredible piece completed by Patricia. Patricia Araujo was born in Miami, Florida, the daughter of Colombian parents. She grew up in Bogota, Colombia and lived there until the age of 19. She began drawing at a very early age, always intrigued by architecture and form. Her father worked as an architect at Walt Disney, and during his last years he assisted with the development of Epcot Center. After completing high school in Bogota, Araujo moved to Northern California and studied architecture, painting, and photography. In 2005 she obtained her second B.F.A in Painting, from the San Francisco Art Institute. Araujo has a particular sensitivity to the forms and spaces of architecture and produces works relating to those forms which function as physical embodiments of philosophical and psychological conditions. Her interest in researching the urban landscape continues to grow, addressing the evolution and decay within a city. 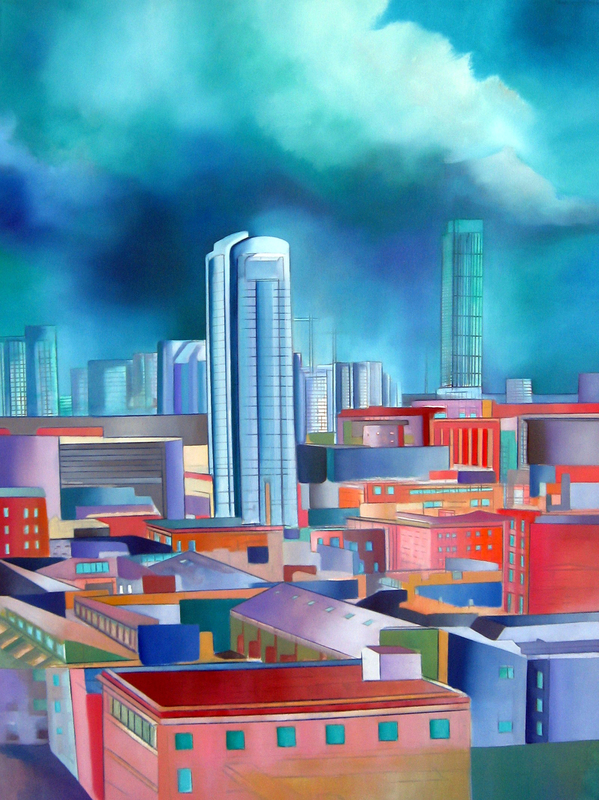 Araujo continues to deepen her conceptual themes on architecture, place and change in the urban landscape. Patricia's art is available to sale in our showroom, and also featured along the wall on our outdoor gallery! San Francisco Chronicle: "SoMa towers paint new picture of S.F." 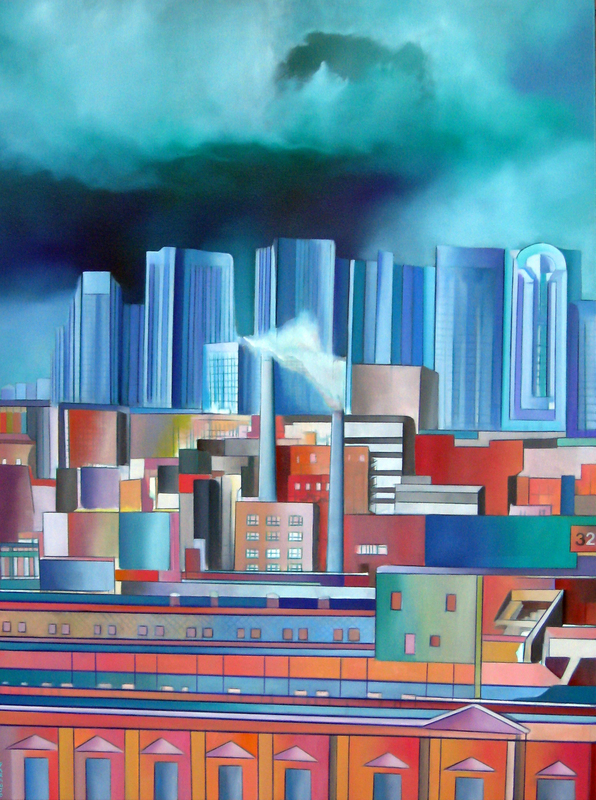 San Francisco Examiner: "The unveiling of SOMA rising by Arttitud"
Huffington Post: "Patricia Araujo's Paintings Of SoMa Show A Vibrant Neighborhood In Perpetual Flux"
ARTslant: "The City from SOMA Grand"